Hoedspruit is a town in the Limpopo province of South Africa. With a population of 3,157 inhabitants, it is a small destination situated at the foot of the Klein Drankensberg. Hoedspruit is the ideal town to visit for the opportunity to experience game reserves. 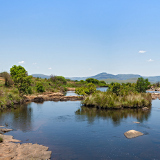 It is closely located to the Kruger National Park – wildlife includes cheetahs and zebras. Hurry to catch cheap flights to Hoedspruit, now available for you to reap for a limited period of time! Hoedspruit is the home of Eastgate Airport (HDS), which is located just 30-minutes drive away from the town centre. 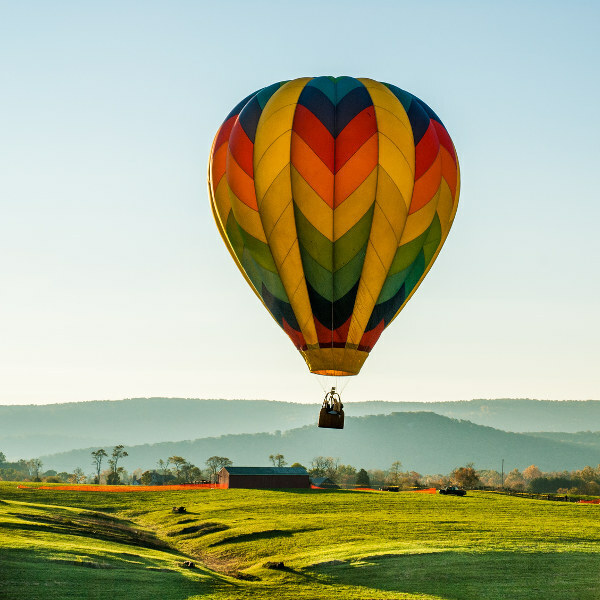 Breath-taking views of the Blyde River are on offer, when you set foot on one of the spectacular hot air balloons. Encounter picturesque scenery including farmland and private nature reserves. Embark on a walking safari in the Greater Kruger National Park, specifically in the Timbavati Game Reserve. 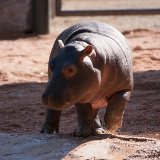 These walks serve to educate guests on the safari environment. 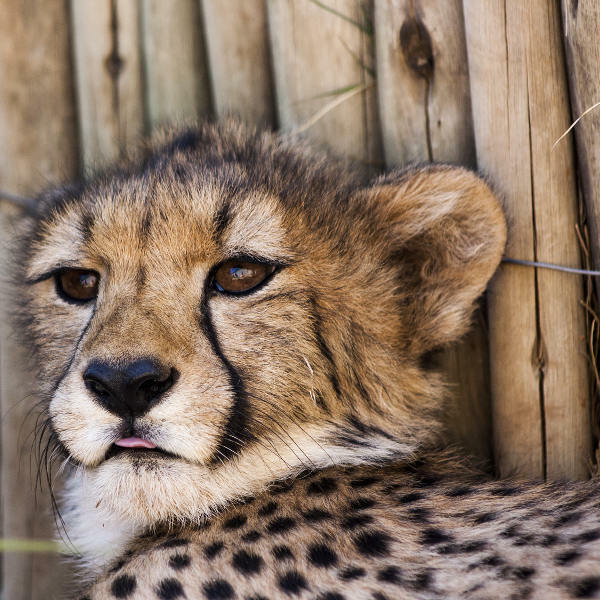 A trip to the Hoedspruit Endangered Species Centre will be a life changing experience An educational and empathic experience with cheetahs is sure to stay with you forever! Hoedspruit has almost all year round sunshine, with hot summer months. The months from October to March sees temperatures reaching 27 degrees Celsius. Summer (November to March) is considered the best time to visit, giving you a chance to encounter sensational festivals under the most enjoyable weather. Tourists should note that it is a common occurrence to experience thunderstorms during this time. Summer is the peak season for tourists. Winter (June to August) in Hoedspruit still brings pleasant weather, with chilly mornings, warm mid-days and cold nights. Visit the town during the months of January and March, when there are fewer tourists, allowing you to avoid congestion at sightings. This magnetic little town draws many tourists with its extraordinary eco-tourism. Once settled in the town, a vast amount of game can be experienced. 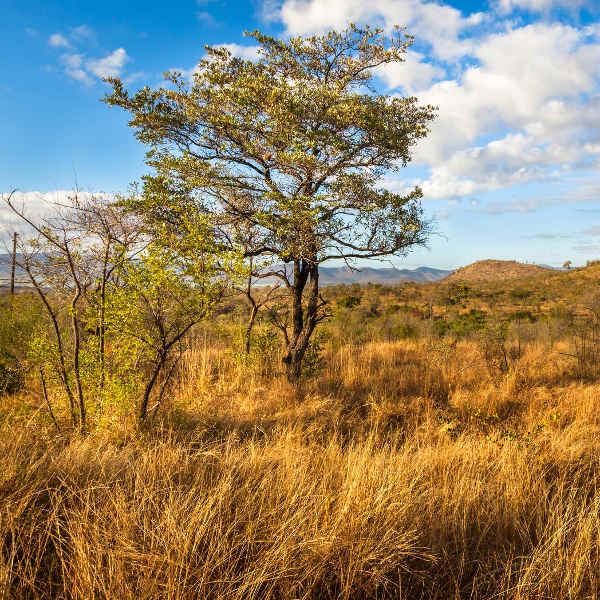 From private game reserves to the Kruger National Park, Hoedspruit is the idyllic location for a connection with nature! An abundance of wildlife can be appreciated at the Hoedspruit Endangered Species Centre. The centre is home to cheetahs, wild dogs and white rhinos, and promises to offer a unique African adventure. Tourists are treated to heart-warming hospitality. After retreating from your adventures in the bushveld, forests and mountains go ahead and enjoy a cold beer with the friendly locals. Compare several airlines, and book your cheap flights to Hoedspruit online at Travelstart! No specific vaccinations are required to travel to Hoedspruit. However, tourists should be up-to-date on routine vaccinations while travelling to the town. These vaccines include measles-mumps-rubella (MMR), diphtheria-tetanus-pertussis, varicella (chickenpox), polio, and yearly flu shot. Hoedspruit is a low-risk malaria area. It is in your best interest to take precautionary medication. Consult your medical practioner for more information. Hoedspruit is a very safe and secure environment. The town has a strong community policing program in place to deal with all crisis management control. • Do not leave your luggage unattended. 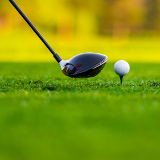 • Store your valuables in the hotel’s safety deposit box. • Keep your room locked at all times. • Do not carry large sums of cash on you. • Do not allow strangers to assist you at ATM's. • Avoid travelling alone, it is best to go out in groups especially if you are visiting a bar or nightclub. • Use registered and qualified tour guides. • On game reserve tours, tourists must remain in their vehicles unless in a designated area. The extensive region around the town of Hoedspruit affords a grand range of accommodation types from camping to luxury lodges. The primary form of accommodation is game lodges. It offers sensational luxury and exclusive encounters with the big game. For a cheaper accommodation option, travellers can enjoy a backpacker’s lodge, where you are certain to meet people with plenty of interesting stories. The town is easy to walk around as it is quite small. Tourists will need to hire a car, or have a tour or transfer arranged, as the attractions are located outside of the town. There are a number of private transfers in Hoedspruit which tourists can contact.